This is a unique moment for the world of payments, and the prepaid industry is poised for explosive growth and consumer ubiquity. With the influx of new competition in the ecosystem, what are you doing to maximize your firm’s opportunities? What is your outlook for the future? Now is the time to be proactive and win business. 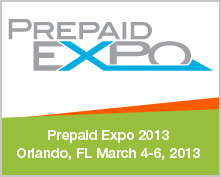 Book your seat for the Prepaid Expo today to be a part of the largest industry event for prepaid and payments. 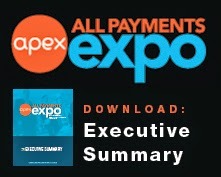 More than a day’s worth of content focused on the evolution of payments, including: which innovations will be fixtures or fads, how disruptors are charting new courses in commerce, GPR acceptance and what it will mean for prepaid adoption, and sessions devoted to mobile, NFC, EMV and apps. More than a day’s worth of insight from regulators, lobbyists and industry and consumer advocates alike, all to help you interpret the rules and regulations and understand how compliance will affect you. Two days of content tailored for retailers’ unique needs to grow the gifting category, including in-store marketing and re-selling strategies, eye-catching design, digital gifting, loyalty programs and B2B growth strategies. With more than 50% of Prepaid Expo attendees in C-Level, Founder, President and VP-Level roles, Prepaid attendees meet who matters across the industry. Qualifying executives have access to our exclusive Executive Agenda, which provides executives with three full days of business meetings, executive idea exchanges, private sessions focused on strategy and EXCLUSIVE Q&As with our keynote speakers. Space is limited, so apply by clicking here. 5. Save Money, Miles and Time. The stored value community stops for 3 days to attend the Prepaid Expo. You’ll meet 1,700 like-minded peers, acquire new partners and strengthen existing relationships at the meeting place for prepaid and payments professionals. 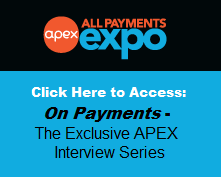 The Prepaid Expo is THE BEST WAY to scope out the competitive landscape and network with industry peers at this critical time in payments. We look forward to seeing you in person next March! Are you looking for a creative way to reach top-level decision-makers? 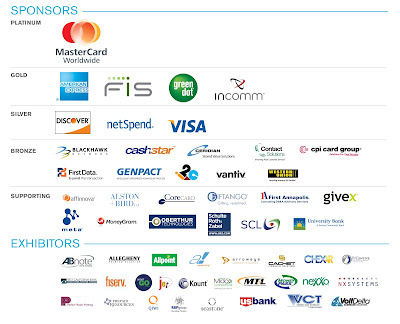 Why not consider sponsoring a luncheon, cocktail party or refreshment break, or an Exhibit Booth? For more information on sponsorship or exhibition opportunities, please contact Terri Sobol at +1 646-895-7473 or email tsobol@iirusa.com.